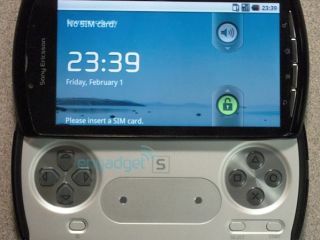 Now pictures of a (supposed) Sony Ericsson PSP phone have emerged, the idea that we'll be seeing a 'proper' gaming mobile feels a lot more concrete. Yes, the theory makes sense: Sony Ericsson is ailing in the phone market, so it leverages a core brand from its parent company to pull punters back in again. And on-the-go library of games, downloadable from wherever would mimic the relative success of the Kindle, where a 3G connection provides pretty much any book you could want in 30 seconds. But this isn't the first time a company has looked at the popularity of mobile gaming and tried to make a phone based around that principle - who remembers the Nokia N-Gage from 2003 and 2004? Back then attempts to make a Gameboy rival with phone bits included failed spectacularly - not helped by a weird screen and having to take out the battery to play games. And now Sony Ericsson wants to repeat the trick? Surely someone has realised that gaming on a mobile is a casual thing, not the primary function. That's always going to be calling or internet browsing. But then they'll suddenly find themselves a little embarrassed in a meeting when they pull out a phone that's primarily a games console - you might as well walk in wearing an 'I'm 10 years old TODAY' badge. Phones now have powerful graphics processors and CPUs, loads of memory and large screens; but just because a gaming phone is possible, doesn't mean Sony Ericsson should make it. Gaming on mobiles has also never been bigger, thanks to the likes of Apple, but the extra heft of a slide out keypad and shoulder buttons is still a bridge too far, no matter how hard the shiny Android-toting touchscreen tries to hide it. The rise of casual gaming is just that: casual. People want to throw birds at pigs, slice fruit in half with their finger or hack bits of rope to feed a monster for ten minutes. They don't want to have to spend an hour immersed in an RPG when they've only got a few stops on the Tube. Now, a Sony-branded gaming portal offering oodles of PSP-style gaming content instantly downloadable to any (decent) Android phone, well, now that's something we would REALLY love to see happening - just not Sony Ericsson's attempt to convince people that the N-Gage was secretly a brilliant idea. CVG.com Editor Tim Ingham disagrees with Gareth - stating that the PSP Phone will be the iPhone killer everyone has been talking about for years.